There is a lot to be said about Subaru as a car manufacturer. The company that pioneered four-wheel drive and a number of reliable wagons and crossovers, Subaru are also renowned in the rally world thanks to the legendary Impreza. The Subaru B9 Tribeca, for example, is unlike any other Subaru. Its three-piece grille resembles the cross-section of an airplane’s body with upswept wings, for one. It is also Subaru’s first attempt to build an SUV in the conventional sense; that is to say, not like the Forester or Outback, but big and tall. Here’s everything you need to know. The B9 Tribeca has an unusual aircraft-like front and rear end. The polarizing exterior design stands out and disrupts the conventional crossover status quo. It has 18-inch aluminum wheels, chrome exterior handles, a luggage rack, a power sunroof, and even side-view mirrors that have LED turn repeaters. The front side has project-beam halogen headlamps and fog lamps. In unison with its outlandish exterior design, this vehicle also features a dual exhaust. Subaru was never one to sacrifice function for form, even though it has a cockpit-like beige leather interior with innovative design. Truly a great step for the carmaker, the seats are generously sized with full-size headrests which are adjustable for height and spacious legroom. All of the controls and switches are ergonomic, easily accessible and clearly labelled. The exaggerated dashboard design reinforces the vehicle’s airplane theme. It sits atop of the driver’s seat bringing the controls close to them. The B9 Tribeca is the first model that features 7 seats (or 5+2). The loading floor is low which makes it easier to board. With the last row folded, the B9 Tribeca has a large, flat loading area, which is quite sizeable even with the seats raised up. Another useful feature is the power socket in the boot. Inside you have powered mirrors, power windows and power door locks with a white satin interior trim. Most of the controls are on the steering wheel, with the instrument cluster display behind it. This B9 Tribeca requires premium unleaded fuel and the fuel economy is surprisingly good for such a big car with the all-wheel drive. Though it does not look like a conventional Subaru, the B9 Tribeca sure does drive like one. This is because the model comes with both manual and automatic gearboxes, both of which are an absolute joy to drive. The steering wheel feels pleasingly direct and the all-independent suspension is exceedingly comfortable. It is responsive without being twitchy or feeling too light. As with all its other models, Subaru's symmetrical all-wheel drive is standard and works in conjunction with vehicle dynamics and stability control. Subaru’s 5-speed automatic gearbox was actually improved for the B9 Tribeca; it feels more prompt to engage from a standstill and the downshifts are also quicker. Given the weight of the vehicle, this improvement helps a lot. Finally, the engine is a hard worker, it has a pleasant sound and it is almost silent on the highway. All Tribecas have traction control, four-wheel disc brakes and four-sensor, four-channel ABS with Electronic Brake-force Distribution. Furthermore, the B9 also comes with tire-pressure monitoring, dual-stage and seat-mounted side-impact airbags in the front, and side curtain airbags for the first and second rows. 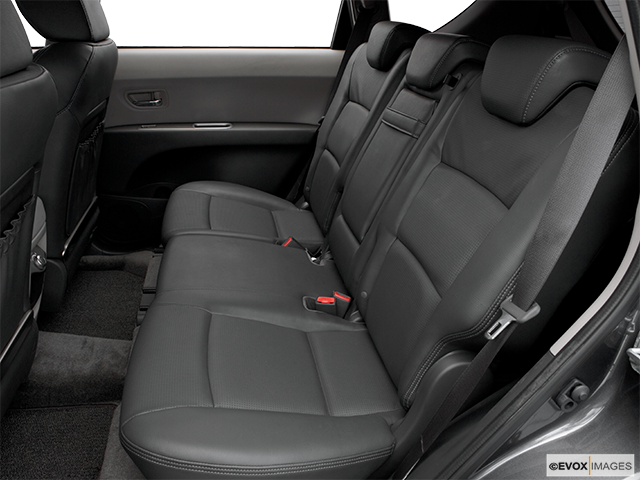 Three-point seatbelts with pre-tensioners and force limiters are at every seating position. The unibody construction uses high-tension steel beams and impact-absorbing foam, and the Ring Frame structure that forms a series of rings around the cabin. The National Highway Traffic Safety Administration (NHTSA) gave this model five stars all around for frontal and side-impact safety and the Insurance Institute for Highway Safety (IIHS) gave it “good” ratings in its frontal offset and side impact crash tests. The B9's braking is extraordinary, its 124-foot 100-to-0 braking parameters are in sedan territory and beat most rival SUVs. 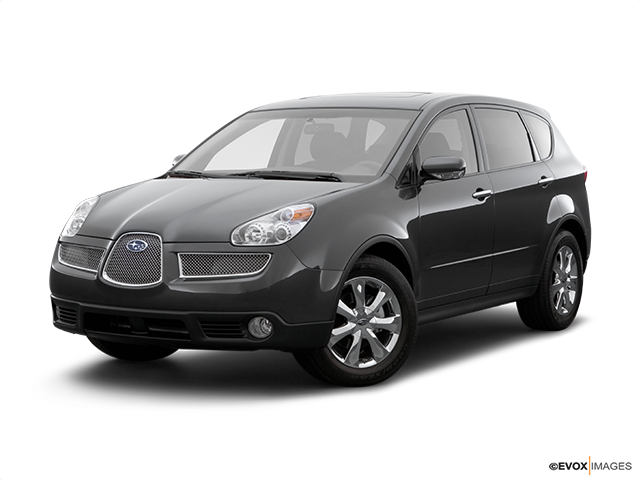 As a result, the Subaru B9 Tribeca is a worthy investment in all aspects.